Home / Client Authored / Bring the Family to Pumpkin Palooza! Bring the Family to Pumpkin Palooza! Halloween is a special time of the year for families. It comes with a change in the seasons, bringing colder weather and falling leaves. It also brings a holiday that is dear to most children – Halloween! 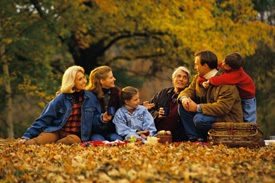 Bring the whole family out for some fall fun! This year, Cummin’s Chiropractic is going to be celebrating at Pumpkin Palooza. This event is held on October 24 from 10 a.m. to noon at the Bellevue Family YMCA, located at 14230 Bel-Red Road. It’s a free pumpkin carving party that’s fun for all ages. A wide variety of activities are available, and you’re encouraged to wear your Halloween costume to share in the festivities. You’ll see the Cummins Chiropractic team at our own table holding free spinal screenings for anyone who might be curious about their spinal health or has a concern they’d like to discuss. Maybe you’ve been having symptoms of pain or just want to know more about what we do. We’ll be there as a public service to share our knowledge and be a resource to the community.